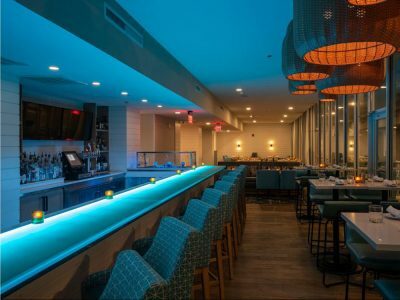 Whether you are designing the bar area for your new restaurant or remodeling your house and adding a bar, if you want to make it stand out from the crowd and provide jaw dropping, magnificent and splendid appearance, then you need a glass bar top from CBD. 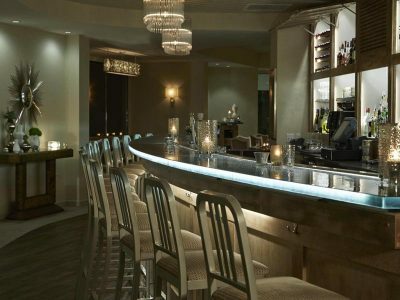 Our contemporary glass bar tops can make the difference between normal beauty and take-your-breath-away gorgeous. Guests in your home or customers in will your hotel or restaurant take a double look at the elegant sophistication of your bar. 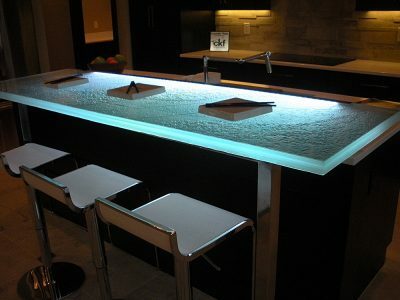 Glass bar tops are great not only for home owners, but for business owners as well. Their eye-catching appearance really makes them stand out from other counter tops like granite or other synthetic surfaces. 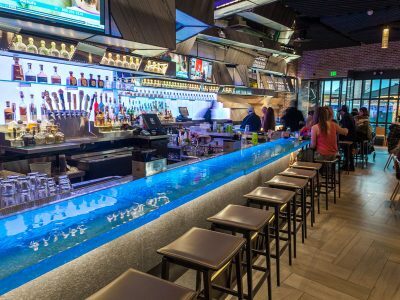 It is truly incredible to see how some business owners have turned their restaurant and bar around by adding an incredible glass bar top. 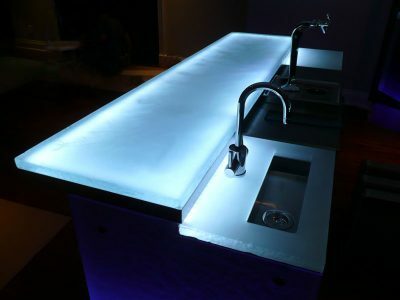 Here at CBD Glass Studios, we specialize in the most beautiful customized glass bar tops. We are dedicated to providing the highest quality products and the highest level of customer satisfaction. For a traditional look, the best choice is the plain glass bar. For a more interesting, stylish look, chose any glass texture combined with LED or RGB lights. 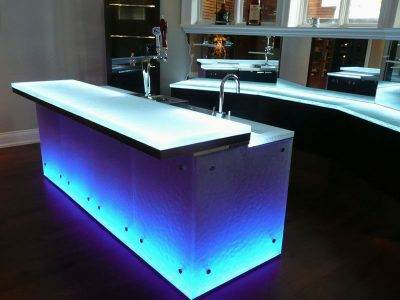 The lights really make the bar top come to life with its vibrant colors. 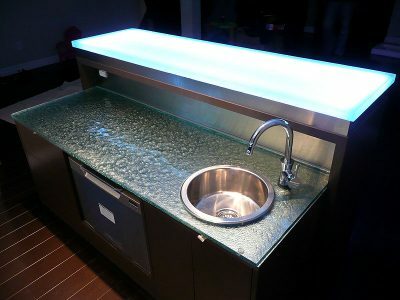 If you are a home owner, the glass bar top will be great for you as well. Whether you are coming home to relax after a long day, or hosting a party, the glass bar top will accommodate whatever atmosphere you desire. Because your bar will be customized, it can be made into whatever shape you like. 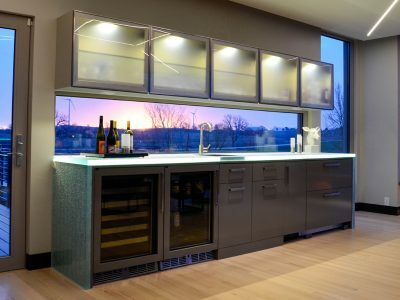 To create your own glass bar top that suits your needs, please have a look at “chose your options” page, and if you need any additional help, give us a call.